the bean really liked kickin' it in the front seat. the beach was gorgeous that day, although the water was fri-hi-gid. didn't stop us from dipping our toes in, at least. i'd read that a five guys had just opened in the OC that weekend, and when i mentioned it to the teen, she was all over it. i pulled it up on my phone and found that we were less than 10 miles from it, and it was even on the way home! yay! the line was a little ridiculous, though. i'm such a sucker. 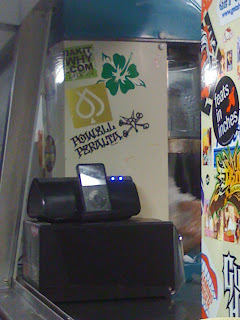 it looked just like the one we'd visited in charleston a few weeks earlier. although this one was adorned with customer-decorated postcards that proclaimed it "better than in-n-out." BLASPHEMY! 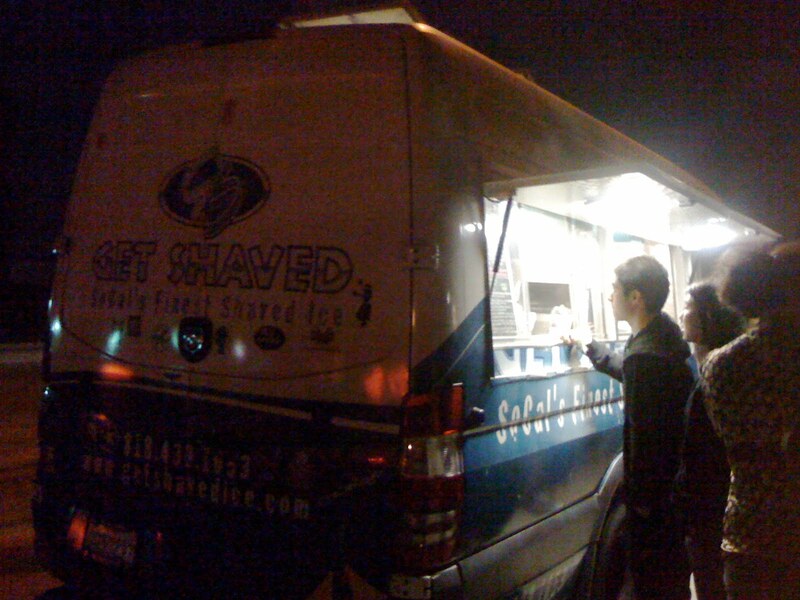 and then somehow, as we were heading home, i remembered that the get shaved food truck - offering authentic hawaiian shave ice - was going to be stopped in pomona. again, on our way home. whee! i was excited to pop my food truck cherry. beach, bike, burgers, and our first food truck experience. pretty awesome day, i'd say. that looks like such a fun day! and it cracks me up how the bean poses for the pictures...too cute. 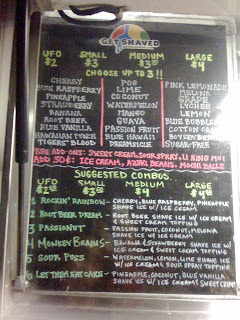 ooh..and that shave ice...OMG..yum! 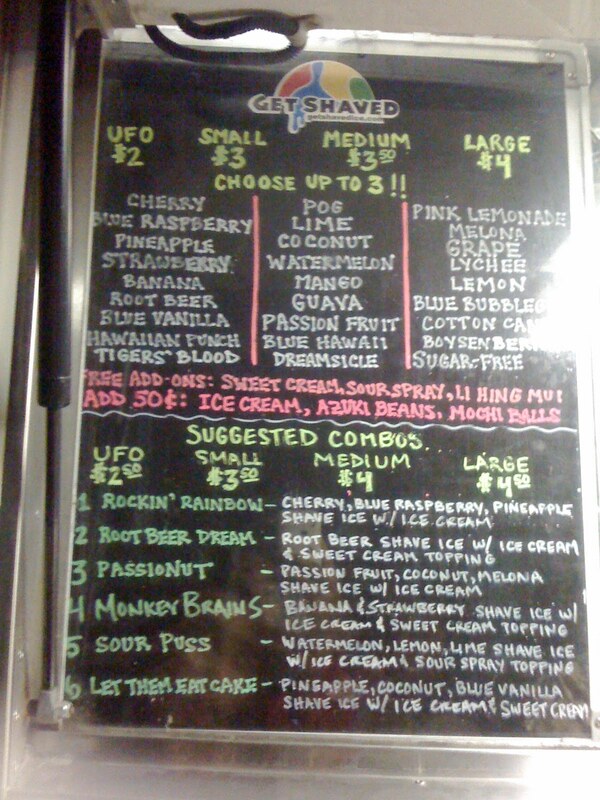 me and the hubs have been watching the great food truck race on the food network, and we soooo wanna try the nom nom truck. Ooooh while I would not wait in that line for Five Guys, I would love to get some shaved ice. Yum. 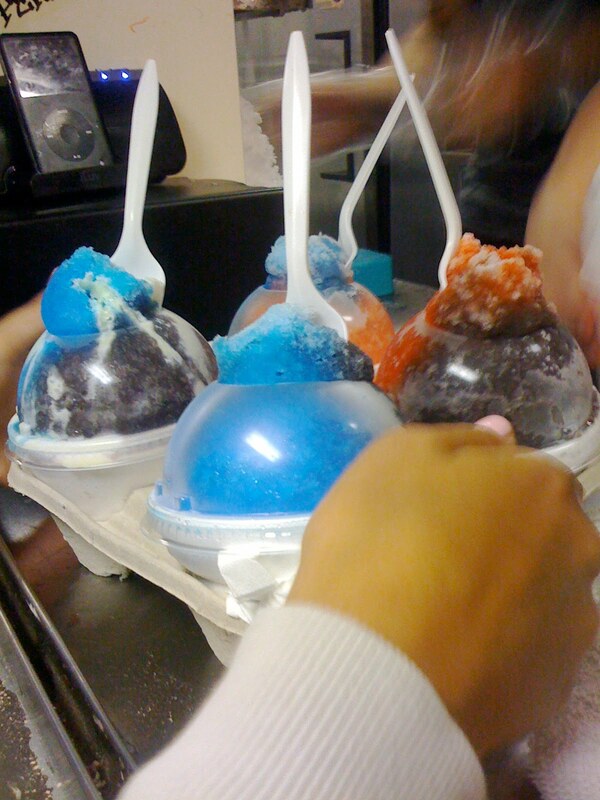 I only got to have shave ice ONE TIME in Hawaii. Ugh. So ridic.